In order to cash in on public money spent on education charter school promoters insist that charters are “public schools.” However, in the eyes of the charter operators themselves, when they are put under pressure by the public to “act” like public schools they become private entities. See here, here, here, and here. Now, the federal government has gotten into the discussion and has decided, through a ruling by the National Labor Relations Board (NLRB) that charter schools are, indeed, private. In other words, charter schools are just another voucher plan that transfers money intended for public education into private pockets. The decision stemmed from efforts by the United Federation of Teachers (UFT) to unionize teachers at the Hyde Leadership charter school in Brooklyn. PERB had asserted jurisdiction over the school, but the union ended up arguing that organizing efforts should be overseen by the NLRB which administers labor law in the private sector. Local public school systems generally face a significant amount of opposition when they try to close a public school. Public meetings are held, parents argue for keeping their children’s school open, alumni come back to talk about the impact the school had on their lives, and citizens argue that the school is an integral part of the community. Closing a public school is often a time-consuming and traumatic experience for the community and the students (See this article about schools closing in my community). Free-market proponents want schools to be subject to the whims of the marketplace. In such a system, they believe, “bad” schools will close and “good” schools will be supported. The problem is that school closings hurt children. Two weeks before school started, this charter school in Detroit closed its doors. Parents are left having to frantically search for another school for their children. This, it seems to me, is an important benefit of a public school system under the oversight of an elected school board. Real public schools don’t close two weeks before school starts, or in the middle of the year. School boards generally create a plan for relocating students from schools which are closed. But for the charter industry…school closing is a feature, not a bug. See also The Shame of the Nation: The Restoration of Apartheid Schooling in America. …as charter schools expand their reach across the country and every year educate a larger share of the nation’s children, the issue of racial segregation has raised significant concerns among integration advocates who warn that it can push low-income students into low-achieving schools and reduce the resources going to high-needs schools. Even at schools like Tindley that are relatively high performing, critics say graduates will be less prepared to interact with people from different backgrounds later in life. Why Do Teachers Stay? What Makes them Leave? How do teachers live with the cognitive dissonance inherent in today’s educational environment? How can you justify government sponsored malpractice? Each teacher must decide if they can do enough to overcome the damage done by the test-and-punish education promoted by statehouses and the the US Education Department, or whether they will succumb to that which hurts their students. Teachers must decide…do they stay or do they go? Either way they choose, teachers usually feel guilty. There are some who say that teachers who recognize the draconian classroom goals and objectives and their professional emasculation, should all quit. They should announce to the world that they hate high-stakes testing, or Common Core, Competency-Based Education (CBE), or an innumerable array of insidious reforms, and then they should proudly stake their career on their beliefs and walk out the door. Some do this, and then they go fight like hell for the rights of teachers and students. Some teachers of like mind, ban together and put up a fight, like the teachers at Seattle’s Garfield High School who boycotted testing. Some teachers cry for awhile, then they turn away. They believe the only thing they can do is work on something else that will bring joy and happiness. They focus on their corner of the world, where they feel they have some control. Who’s the best kind of teacher? That is not for me to judge, although I wonder about teachers who buy into every school reform that comes their way. Every teacher must make up their own mind what their career means to them and how to best serve the children in their care. And there are always a whole lot of deeply personal outside factors that enter into the decision. Are America’s public schools failing? The latest PDK poll once again reports that people who have children in public schools give their schools a good rating. Approximately two-thirds of public school parents rate their local schools as an A or B. When you add a grade of C, the number increases to 90%. Nationally, schools are rated much lower. Why? 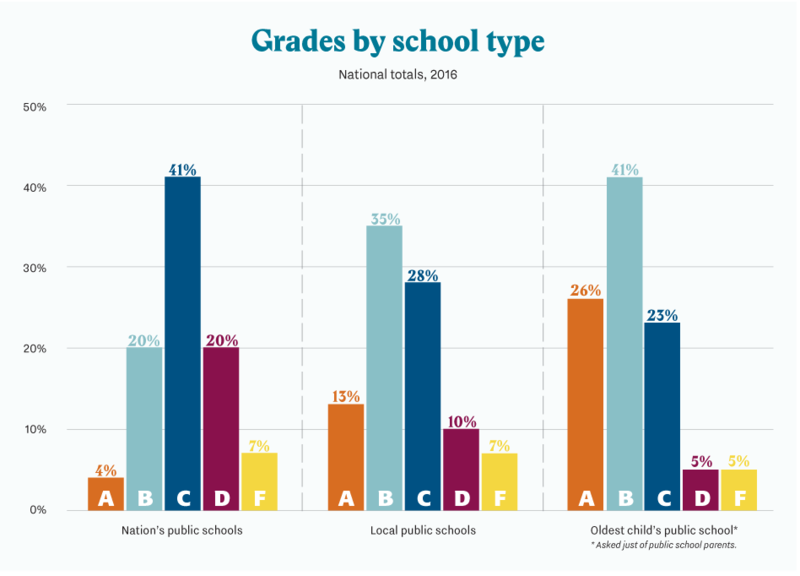 Could it be that the media, politicians, pundits, and “reformers” are promoting the myth of America’s “failing public schools?” What do local parents know that the general public doesn’t? Failing schools or inaccurate reporting? The explanation: Parents have direct information about the school their children attend, but their opinion of American education comes from the media. For decades, the media has been reporting more academic failure than actually exists. A simple solution infers that a single strategy, or group of strategies, will be sufficient to address problems across a wide variety of settings–in this case, our public schools. As anyone who has ever spent a day teaching in a public school knows, no two public schools are alike, so the notion that any one idea or approach holds the answer to wide-spread, systemic change in an ecosystem as large and diverse as America’s public school system is either naive or disingenuous. And neither of those traits is a good thing when it comes to making suggestions about our nation’s education policy. 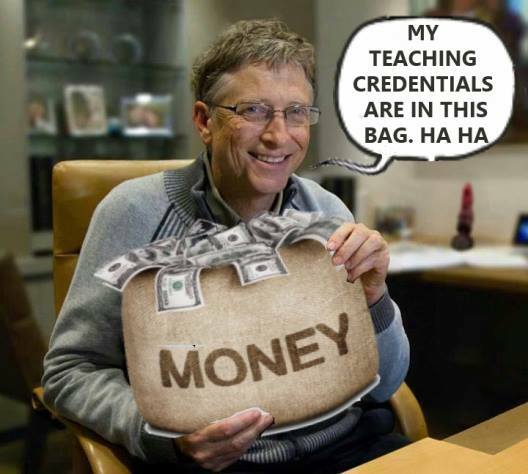 Bill Gates can’t understand that he’s not an education expert simply because he’s rich. Nate Bowling does his best to explain things. At the beginning of 2016, Bowling wrote a widely-circulated piece entitled “The Conversation I’m Tired of Not Having” in which he comes down hard on the idea of setting aside questions of education policy until we can honestly grapple with the issues of race and poverty, charging that the powers that be and the folks in the ‘burbs are actually pretty happy with The Way Things Are. …if the wealthy and super-wealthy had skin in the game, public schools would get the support they need. Massive wealth doesn’t necessarily equal massive knowledge, and the Gates Foundation has shown over and over again that its knowledge about how to improve America’s education system is anything but massive. Let’s begin with just three of the assumptions the Gates Foundation used when funding its education ideas. ASSUMPTION #1 – Small schools are better. Small schools can work, but it takes money. Lakeside School, Bill Gates’s Alma Mater, for example, has less than 800 students in grades 5 through 12. They also charge $30 thousand dollars a year tuition per child along and have an endowment of $118 million. Even if only half of the students paid the full tuition they would have a working budget of $10 million a year. How successful would the public schools in Detroit or Chicago be if they had a budget of $10 million a year for each school? ASSUMPTION #2 – Teachers aren’t really trying so they need an economic incentive to try harder. When did it become fashionable to assume that all teachers were lazy and didn’t really want to do the hard work of helping students achieve? “Reformers” choose to dump all the blame for low student achievement on teachers instead of considering other out-of-school factors. This is convenient for those public servants who are responsible for out-of-school factors influencing achievement. Most teachers are working as hard as they can to help students. Extra money, while it would be welcome, would probably not influence student achievement. Curiously enough, that’s exactly what researchers find when they study financial incentive plans for teachers. When asked to take on a merit-pay system, teachers typically point to the fact that they have no control over who is assigned to their classes. Every veteran teacher knows that groups of students will vary in their ability and motivation from year to year. Each class presents its own set of challenges. And this variation exists across schools and districts. Research shows that the carrot of higher pay does not lead to better results. In an authoritative study conducted at Vanderbilt University, for example, teachers who were offered bonuses for improving student test results produced no more improvement than the control group. Similar studies of teacher merit pay have shown null results in New York City and Chicago. Because of the lack of positive results, a number of pay for performance programs have been abandoned, including programs in New York City and California. Methods that use test scores to evaluate teachers, including the currently popular “value added” calculations, have also proved highly unreliable. 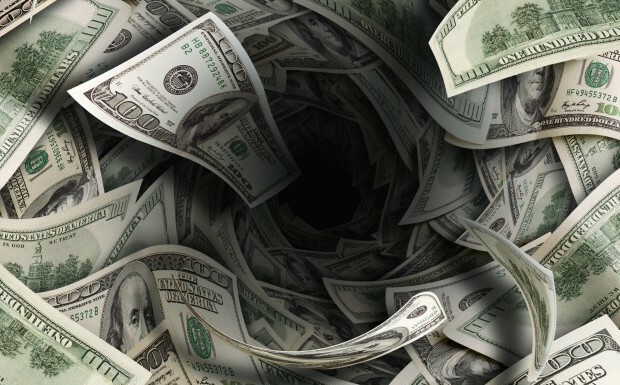 The National Academy of Sciences and experts assembled by the Economic Policy Institute have warned of the potentially damaging consequences of implementing test-based evaluation systems or merit pay based on test scores. Standards, along with well maintained facilities, a well developed curriculum, and best teaching practices, are all important for student achievement. But even the best standards won’t heal what ails our nation’s public schools if that’s all we have. And the Common Core State Standards are not “the best standards” despite the millions that the Gates Foundation dumped into them. We don’t let billionaires tell firefighters how to fight fires. Billionaires don’t get to decide what books belong in the public library. Billionaires should not make public education policy just because they have a lot of money. It would have been nice if Bill Gates had understood that when he began his foray into influencing public education a decade and a half ago. Does he understand it now? An open letter to white educators. Few bloggers write with the passion, intensity, and insight of James Boutin. In this piece he explores his journey as a white man coming to terms with his own privilege. Speaking of privilege…here’s an interesting take on philanthropy. Many of the “gifts” that the super wealthy give through their foundations are tax-exempt. In that way, the money is partially subsidized by American taxpayers, who make up the difference in the amount of taxes the wealthy don’t have to pay because of such loopholes. Regardless of political stands or projects, all philanthro-barons with their own foundations are generously subsidized by taxpayers. When a baron says, “It’s my money to use as I please,” he or she is wrong. A substantial portion of every tax-exempt foundation’s wealth—39.6 percent at the top tax bracket for filing in 2016—is diverted each year from the public treasury, where voters would have determined its use.43 Taxpayers subsidize not only the philanthropy of the Koch brothers, Soros, and the others but also their political work. Part of the megaphilanthropist’s wealth goes into a personal cache; part goes into a tax-exempt cache. The money saved by not paying taxes goes wherever the philanthropist wants, including to political work. American democracy is growing ever more plutocratic—a fact that should worry all admirers of government by the people. Big money rules, but multibillionaires acting as philanthropists aggravate the problem by channeling vast sums into the nation’s immense nonprofit sector. Their top-down modus operandi makes this a powerful tool for shaping public policy according to individual beliefs and whims. And they receive less critical scrutiny than other actors in public life. Most people admire expressions of generosity and selflessness and are loath to find fault. In addition, anyone hoping for a grant—which increasingly includes for-profit as well as nonprofit media—treats donors like unassailable royalty. The emperor is always fully clothed. In the past, schools closed or opened because of population changes. 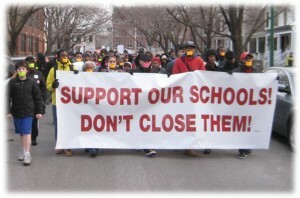 With the privatization of public education we’ve seen schools closed because of the economic condition of their neighborhood, and then replaced with publicly funded, privately run, charter schools [See Chicago and Boston]. Instead of supporting, improving, and encouraging neighborhood schools, privatizers in board rooms, executive offices and state legislators are closing schools and dumping the students into privatized new schools. The “community school” is disappearing. Those schools were often a central part of a community where teachers spent their careers and taught children and grandchildren of former students. With the loss of community schools a symbol of stability and cohesion has disappeared. This new wave of cuts in major cities like Memphis is especially troubling. It signals the end of public schooling as we know it. In the meantime, we get to watch little kids who should be home playing or spending time with their families, parading around with signs begging adults to keep their school programs open. This isn’t just Memphis. It is America. This is what we’ve become. Public schools are closing, charter schools are opening, and public funds are being diverted to private and parochial schools through vouchers. Why? Mainly because there is a whole s**t-load of money to be made from public tax revenues directed at education. There are some, of course, for whom the public schools are a danger to their faith. For example, Jerry Falwell famously said, “I hope to live to see the day when, as in the early days of our country, we won’t have any public schools. The churches will have taken them over again and Christians will be running them. What a happy day that will be!” Falwell, his followers, and their political descendants, are against public schools specifically because they don’t teach religion. 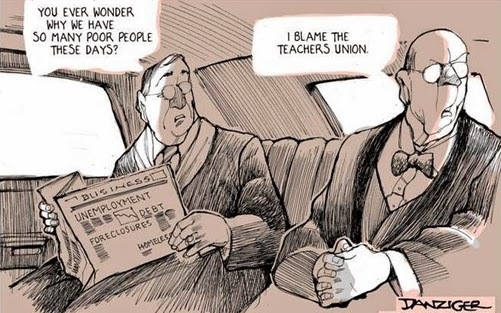 There are others who are against public schools because of the teachers unions. They ignore the fact that schools are run by administrations and school boards, and claim, instead, that the unions are the ones making the rules. There is a substantial amount of overlap among these groups, but the driving force behind the privatization movement is money…and the intensity in which ALEC churns out anti-public-education model legislation is proof. The “non-profit” group is intent on the privatization and profitizing of public education. How does the cost of higher education limit and damage the future of today’s young adults? How do young men and women from poor families pay for college? How long do they end up paying for their education after (if) they graduate? How many graduates end up paying for an education in a field in which they can’t find work? …we have an entire generation of Americans for whom college costs are the biggest problem in their lives. They can’t afford to put money into the economy. They postpone buying homes and having children. They struggle with the stress and strain of living under the shadow of huge debt. How can the fact that some are required to take remedial college courses be a huge issue that must be screamed regularly from the rooftops, but the house of debt that has been dropped on them (amidst promises that college would be their passport to the middle class) merit barely a mention? How can we pretend to talk about making students college and career ready and not talk about the crushing cost of college? Russ Walsh’s new book, A Parent’s Guide to Education in the 21st Century: Navigating Education Reform to Get the Best Education for My Child, is now available from Amazon.com and Barnes and Noble. Walsh is a literacy expert, Coordinator of College Reading at Rider University, and blogger at Russ on Reading. A Parent’s Guide to Education in the 21st Century isn’t just for parents. It’s for anyone who wants to understand the “reform” agenda and what it has done to American public education. Call it “reform” 101. Walsh clearly outlines the ways that the “reform” movement has damaged the nation’s public education system and harmed the education of children. It’s not misnamed, however. He includes chapters for parents (of benefit to teachers as well) on identifying a good school, good instruction, and helping children succeed. It is not your child’s job to be ready for school; it is the school’s job to be ready for your child, and to meet your child’s needs through rich curriculum, highly trained teachers and a system of learning supports. In our society we have come to recognize that choice is a good thing as long as it does not interfere with others’ choices. What if an inner-city parent’s choice is to send a child to a clean, safe, well-resourced, professionally staffed, neighborhood public school? By draining away the limited funds available for public education, charter schools and voucher schemes infringe on that parent’s choice. It would be wise to spend our public tax monies on providing good local public schools. In public education, as with smoking and seatbelts and the military, the government must choose to limit our choice in order to provide for, as the Constitution says, “the common good.” Public education is a common good that privatization in the form of charters and vouchers will destroy. The distribution of public tax money ought to be under the watchful eye of the public. Elected school boards, no matter what their limitations, are held accountable to the public through elections. Every penny in every public school in Indiana is accounted for. Why, then, is money awarded to private schools through vouchers or to SGOs to award “scholarships” to private schools, with no public oversight whatsoever? What happened to the $116 million that Indiana spent on privatization in 2014-2015 (and even more for the current year)? Was it used for instruction? If so, how did the students perform? Was the money used for building additions, church steeples, or CEO salaries? For taxpayers, however, there’s a gaping hole in accountability. Reports are available for public schools, including charters; not for voucher schools. The state awarded almost $116 million to private and parochial schools in 2014-15, but the General Assembly does not require posting and publication of voucher school performance reports. The Democrats in Maryland have abandoned public education in favor of vouchers. Which of the two main political parties do public educators turn to now? 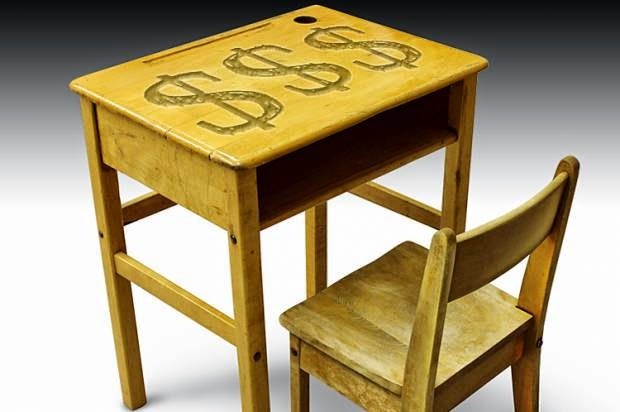 After years of resisting, and over the objections of the state teachers union, Maryland lawmakers have agreed to state-funded private-school scholarships. The decision to create a $5 million grant program was part of the negotiations on the state’s $42 billion operating budget, which received final approval in the Democratic-controlled General Assembly on Tuesday. I was trained in Reading Recovery in 1999 and taught in the program for seven years. I used the techniques and knowledge I gained even after the program was canceled. I still use the skills I learned as a Reading Recovery teacher in my volunteer work with first graders. Reading Recovery is a one-on-one tutoring program for at-risk first graders. It works, but because it’s a program for individual students, it’s expensive. A Reading Recovery teacher can only work with a few students during the school year. Most school systems in my part of the state have stopped using it because of funding shortages. Yet, how important is teaching reading to a first grader? How much is it worth? Is it worth the cost of a $2 billion mobile cannon which was never used? Is it worth the tax we ought to be, but aren’t, collecting from GE, CBS, or Mattel? Is it worth the money spent to (over)compensate Wall St. Execs who caused the Great Recession? Would it be worth it if we could pay the salaries (at @ $90,000 salary and benefits) of more than 2,000 Reading Recovery teachers for the next 10 years with the money we spent on the cannon that was never used? My guess is that the city of Flint, Michigan might need some extra help for the next few years. Instead we’re spending billions of dollars on standardized tests, vouchers, and charters…as well as cannons, tax write offs, and exorbitant salaries. Here’s a second shout-out to Russ Walsh. Along with his Bill of Rights for School Children, this list of non-negotiables for a good reading program ought to be required reading for parents, teachers, and school administrators. Here he lists components of a true reading program instead of the prepackaged test prep and constant assessment that is strangling the joy of reading in our schools. His list includes things like shared reading, self-selected reading, rereading, and word work, complete with research to back everything up. One of the more disturbing aspects of current trends in literacy education is the reports I keep getting from classroom teachers who tell me that reading aloud is being discouraged because it is not “rigorous” enough or because more time needs to be devoted to test prep. So, let me state this as clearly as I possibly can, read aloud is a central part of effective literacy instruction and should be happening daily in every classroom. This is not open for debate. 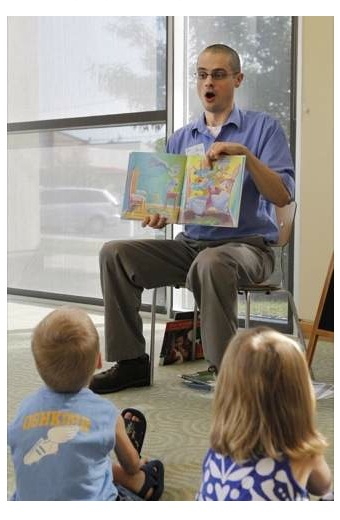 Don’t take my word for it, here is a list of 13 scientifically based reasons for reading aloud to children. Among these well researched benefits are exposing students to a greater variety of literature, encouraging students to view reading as a part of their daily life, building background knowledge, providing a model of fluent reading, encouraging student talk about text, increasing vocabulary and helping students view reading as a pleasurable activity. Here is another resource on the importance of reading aloud. When choosing a read aloud, I would encourage teachers to choose the very best that literature and informational text has to offer, whether that be picture books, novels, histories or scientific texts. When reading aloud, we can aim high because kids listening comprehension outpaces their reading comprehension by about two years and because we can easily scaffold their understanding by “thinking aloud” about the text as we read. Read aloud also provides a great opportunity for teachers to model important comprehension strategies. Just do it. Need more resources for reading aloud? When are we going to stop taking education advice from Bill Gates? When are we going to quit letting him experiment with America’s students? Just because Bill Gates is rich doesn’t mean he knows anything about the education of children. Here’s an Australian radio interview with Fulbright Scholar William Doyle about Finnish education. He talks about the strong teaching profession, and the focus on how to help children learn, rather than how to be #1 in educational assessment. Our job is to protect children from politicians. A high school teacher, tired of being vilified by politicians who have no idea what it’s like to teach in a public school, responded to the governor of Indiana. Indiana’s official test, ISTEP, has had a rough time lately. It was invalid, unreliable, poorly administered by the testing company, and then beset with problems during scoring. 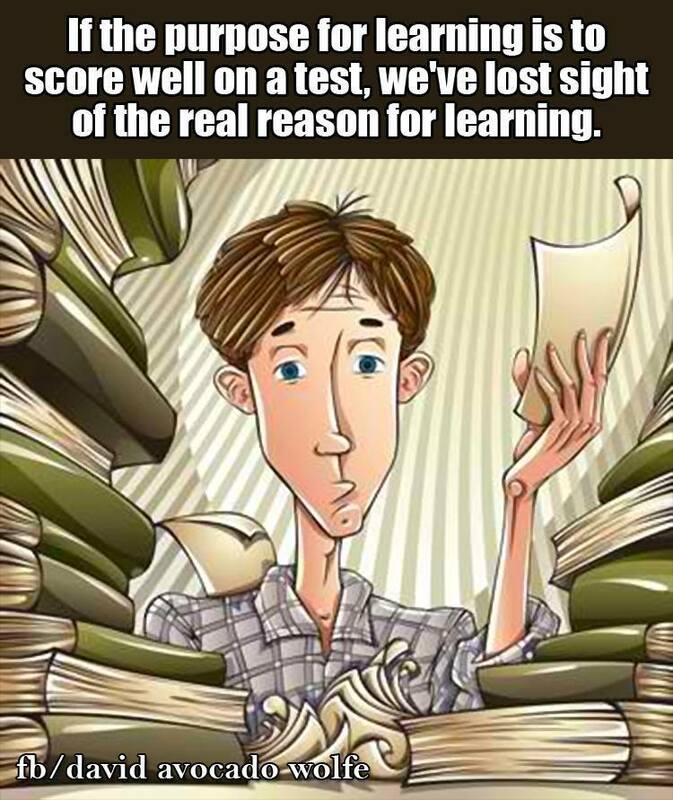 The test was harder than in previous years because: “rigor.” Once the scoring was finally finished, the government decided that more students had to fail and raised the cut scores. Cut scores, remember, are arbitrary and don’t reflect anything other than the whim of, in this case, the State Board of Education. The governor, Mike Pence, told teachers in Indiana not to take it personally when the scores were low…even though the scores are used to evaluate them, determine their pay, and grade their schools. When the attacks seem to be aimed at teachers, their public schools, and their students, it’s hard not to take it personally. When I see individuals with no educational or teaching experience making decisions that affect students and teachers, I take it personally. Since the passage of No Child Left Behind in 2001, America’s teachers have continued to go to work every day, helping the children of the nation grow and learn. Despite the misinformation, distortions, and outright lies, teachers continue to do their job. Despite the public trashing of teachers, professional educators thicken their skin, close their eyes and ears to the noise from without, and take up the task of educating the next generation of citizens. Meanwhile, teachers and principals go about their daily responsibilities, trying to educate the state’s children, while the politicians continue to meddle in matters they don’t understand. Bill Gates has no idea what public education is. At age 13 he started at Lakeside School, a private preparatory school in Seattle. He never studied education. He never taught in public schools. He dropped out of college and became a billionaire. Money, however, does not qualify one to make educational policy for the nation. There are already excellent working models for just about everything that Gates has funded in public education in the last 15 years — how to design and operate small schools, quality standards, fair and reliable teacher evaluation, and now, teacher prep. How many times do educators need to attempt to reinvent the wheel just because someone with deep pockets wants to try when the money could almost certainly be more usefully spent somewhere else? As long as the the schools which were damaged by inadequate, faulty standardized tests weren’t in their systems, local superintendents were free to ignore what was going on. Now, the final attack against Indiana’s public education is underway. The state is poised to claim that half of our schools are “failures” opening the door to opening more privately run charter schools and giving more money to religious groups, sucking the funds meant for real public schools. Now local superintendents are stepping up and decrying the attack on public education. It’s about time. Margaret Spellings, the Secretary of Education during Bush II’s second term, had a big part in the NCLB law. Now, as the President of the University of North Carolina system she brings her lack of education expertise to the post secondary level. Spellings, who has a bachelor’s degree in political science, claimed that she was qualified to be the US Secretary of Education because she was a mom. It was her idea to fail third graders who “didn’t pass the test.” She was stuck in the false dichotomy of retention in grade or social promotion. The truth is Spellings was never qualified to be Secretary of Education. She was never qualified to do anything in the field of education. She’s just one more, in a long line of political hacks, who needed a patronage job and was dumped on the nation’s schools. …the most troubling part of this is that Spellings was there in Texas and DC with Bush and Rod Paige, which means she had front row seats for the massive fiction that was the Texas Miracle. It was the Texas Miracle that was used to sell us No Child Left Behind, which means that anybody involved in that sales job ends up looking like either a fool or a liar. It wasn’t until I was an adult and learned about ADHD that I realized that it wasn’t a question of me trying harder…it was a question of me not being able to control the distractions that prevented me from learning. It took me until adulthood to realize I wasn’t lazy, stupid, or crazy. The “just try harder” approach touches a nerve in me. Like most adults with ADHD, I have a long, unpleasant history with those words. My elementary school teachers wrote on my report cards, “If only Dana would try harder….” Teachers said the same thing in junior high and high school. …when you hear someone begin a sentence with a phrase like “All Muslims,” “Islam says” or even “Muslims believe,” stop and think. The statement that will flow from that isn’t likely to be accurate. Muslims account for 1.6 billion people in the world. It’s absurd to think a body that large all would believe the same thing. The 2.2 billion Christians in the world certainly don’t. I’ve never been particularly easy on NEA on this blog…and once again I find myself shaking my head because NEA seems to be acting against its own best interest. In 2011 I came out against an NEA endorsement of President Obama. I urge the NEA not to endorse anyone…unless someone comes along who supports public education. As an individual, I will vote for the candidate who, on other issues, most closely fits my beliefs about where the United States should go as a nation, but as an educator I can’t, and won’t, support any of them. They didn’t listen to me, of course. After the endorsement they came out against Arne Duncan seemingly unaware that Duncan’s work was either directed or approved by the same President Obama they just endorsed for reelection. Then, a few months later, I objected to then NEA President Dennis Van Roekel’s op-ed written jointly with TFA’s Wendy Kopp which called for the “best preparation possible” for America’s teachers. 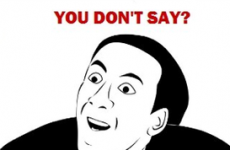 Did Van Roekel think that TFA’s 5 week training qualified as “best preparation” for teachers? The presence of Kopp’s name on the editorial implies acceptance of TFA as one of those “best preparation possible” routes. NEA doesn’t directly receive the Gates funding. The NEA Foundation does. And she completely glosses over her verbal agreement at the NPE conference to no longer even collaborate with Gates. Reducing the role of testing is something I would like to see, but what about teachers being evaluated by test scores, loss of due process, and loss of collective bargaining rights? 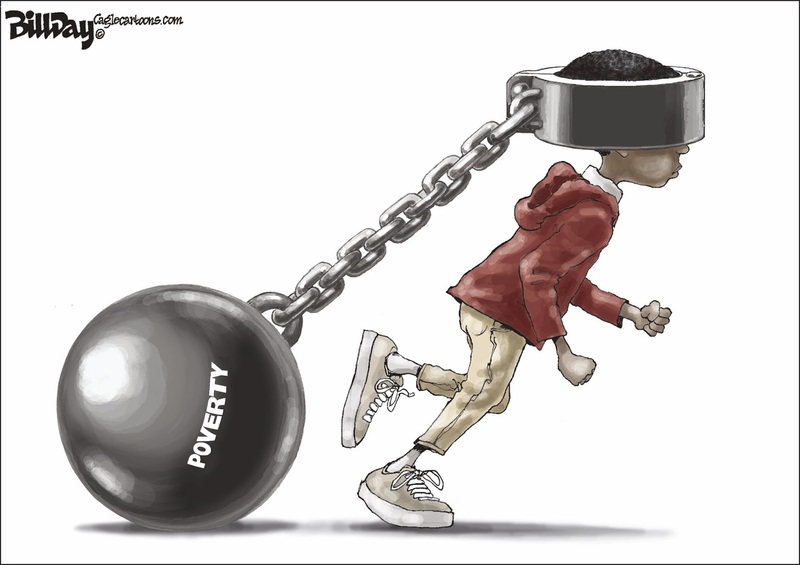 What about the connection between poverty and low achievement? What about Charters? 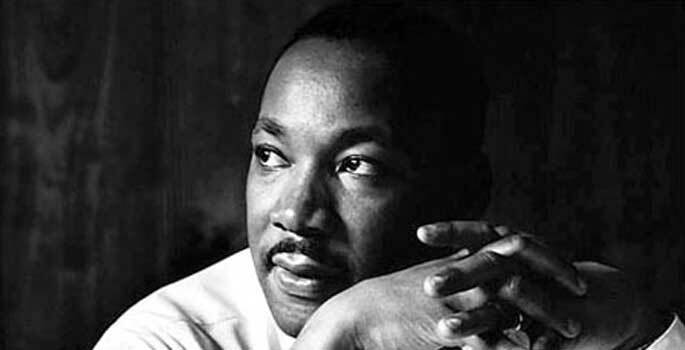 What about Race to the Top, Vouchers, and inequity in funding? NEA shouldn’t endorse anyone until their positions on public education issues are clear. NEA shouldn’t endorse anyone until the NEA-RA approves. I know that the NEA rules allows the Board to endorse a candidate for a primary…and it’s time to change that. Last election cycle, we endorsed someone whose education policy, Race to the Top, was as destructive to public schools and student learning as was NCLB. Haven’t we learned anything from that? NEA has joined with other groups to “launch a joint campaign to Elevate Educators.” The fact that Campbell Brown loves it makes me nervous! It concerns me that NEA has joined with these other groups whose goals include the destruction of public education and the teaching profession. On its surface, the “campaign” might be something which NEA could, or should support, but when you look who is actually participating it becomes just another group of “reformers” trying to increase their bottom line.